I’m a sucker for all black. There is not a time I go shopping and don’t purchase at least one black item. It’s a habit I’ve been trying to rid myself of for a while now. “Orange is The New Black,’ right? So let’s go with that! 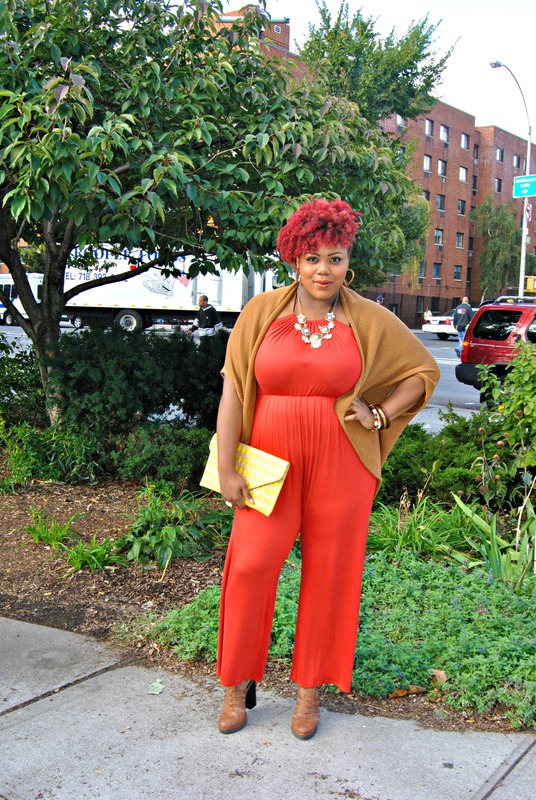 I live for a good jumpsuit so in the Spirit of “Orange being The New Black,” in my wardrobe, what better to wear than an Orange Jumpsuit. During fall people seem to stray away from vibrant colors, like orange. But, I think it’s all about choosing the right shade. The beauty of color is that it comes in multiple shades and hues making any color interchangeable with the seasons. Instead of a vibrant tangerine orange, I went with a more earth toned fire flame orange. 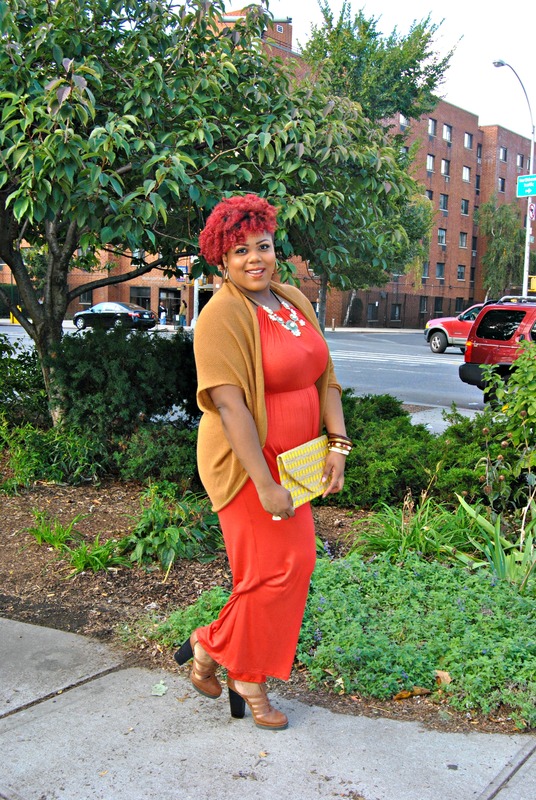 It’s a more toned down approach to wearing a lively color during the fall. Cardigans are a fall wardrobe must have. They add great style to any look. 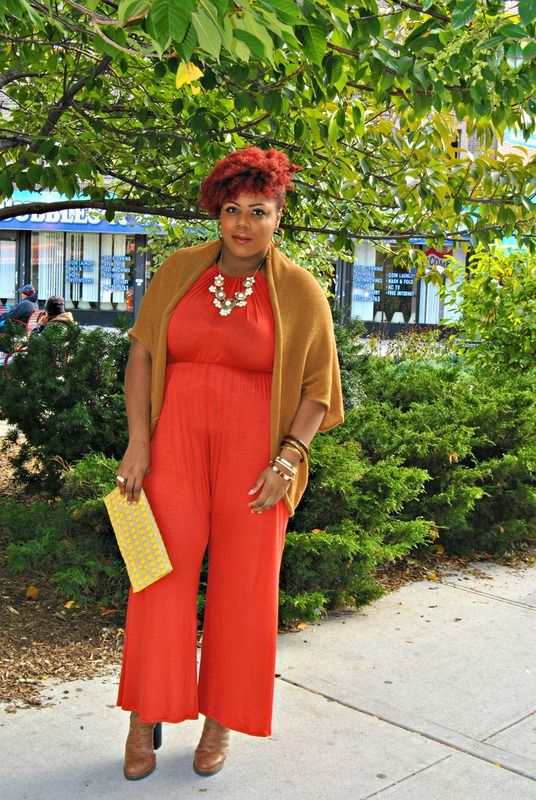 I paired my jumpsuit with cognac cardigan, which is also in the earth tone family. I took advantage of wearing my favorite caged booties before it gets too cold. If you are hooked on Black like me, fall is the season that will feed your addiction. Step out of your comfort zone and replace your Black with some color!